chic at home: Nautical red.. Colors of the sea and the sky can surely turn a house into a cheerful and dazzling home. Not only that, it is also very easy to find these kinds of home décor and you do not have to spend a lot. Let us start with the free items, which you can commonly find outdoors. When you go on vacations and have a chance to visit seashore, it is a good idea to gather pieces of decorative items that you can use to incorporate in your nautical home decor. Sea treasures such as seashells, sand, driftwood, corals and so on, can add priceless beauty to your home. For instance, you can hang on the wall the driftwood you collected from the shore. Voila, an instant nautical wall décor. You can place small shells of different colors in a clear vase or use corals to form a coral sculpture that can be a focal point of interest in your living room. For buying pieces of nautical home decors, you have a wide array of options of places to choose from. For one, you can choose to buy these pieces in the local department store or furniture shop, which usually sell nautical home décor all year round. You can also find wonderful ornaments in collectible shops or antique stores. 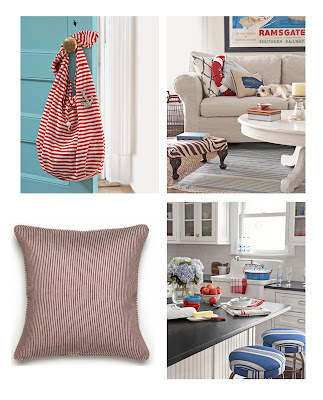 What is great about buying nautical home décor is that they hardly ever get out of style. This means that the ornaments you buy today will still be highly appreciated even in the years to come.